Facing the Andaman Sea on the west coast is the island of Phuket, Thailand's largest island measuring 48 km (30 miles) in length and 21 km (13 miles) at its widest point. Once on the major trading route between China and India, it is now one of Asia's most popular beach destinations. Phuket features miles of sandy beaches and emerald clear waters that are hard to resist. More at Guide to Phuket. 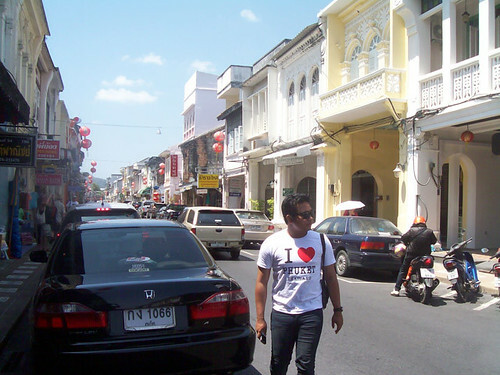 Phuket Town is the largest town on the island of Phuket. Just an ordinary town and not on the list of tourist destinations but the administrative centre and economic hub of the island. Patong is the largest beach resort in Phuket with accommodation ranging from homestays to international class hotels located. 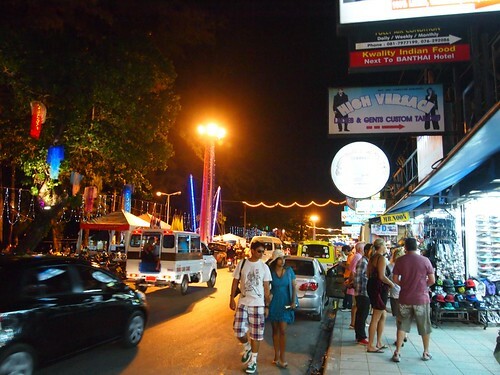 Besides the beaches, it is also known for its pulsating nightlife. 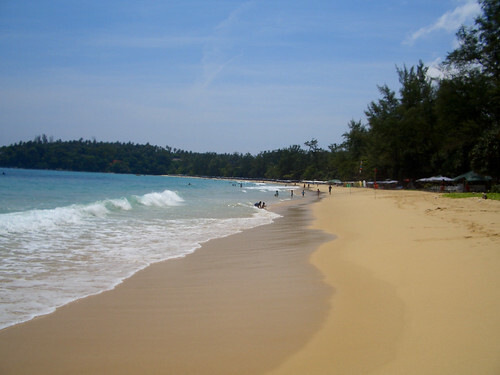 Unlike Patong, Kata Beach caters to holidaymakers preferring a quieter holiday and family vacationers. The beach here is generally shallow and therefore safe for children and non-swimmers. 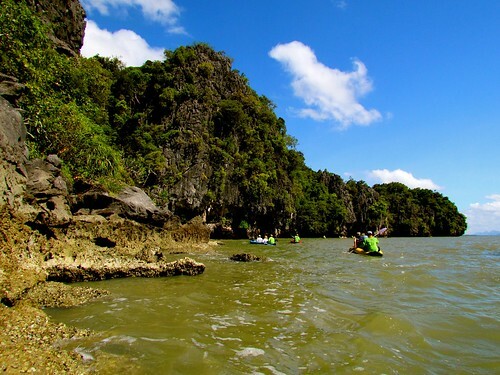 Phang Nga Bay is a scenic bay best known for its limestone rock formation, caves and mangroves swamps. There are several islands within the bay and some offer accommodation.